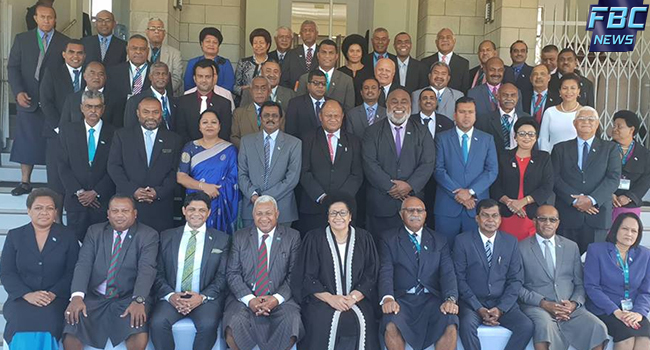 Re-elected Speaker of the House, Dr Jiko Luveni says women empowerment continues to be evident in this year’s parliament. Dr Luveni says her re-appointment is a huge milestone as Members of Parliament have faith in women to hold decision making roles in the House. Prior to the outcome of the votes this morning, Dr Luveni says she had a feeling that she would retain her position. Dr Luveni won majority with 27 votes while Tanya Waqanika had 24 votes. Meanwhile, Assistant Minister for Women Veena Bhatnagar has been appointed Deputy Speaker.